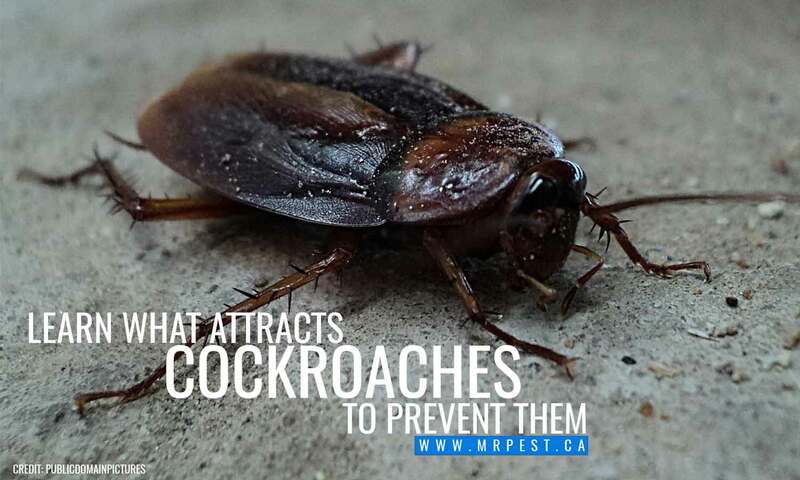 One of the primary reasons people seek out pest control in Barrie is cockroach infestations. 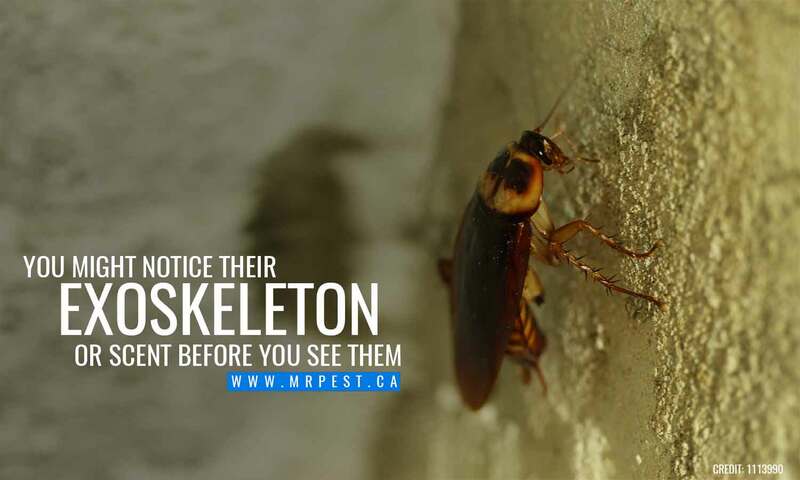 These creepy critters can be found in Southwestern Ontario houses, apartments, restaurants, and other commercial buildings. They go wherever they can find food and shelter. Although it’s rare that they cause structural damage, they can be a health hazard. When they walk over your counters, appliances, and floors, they’re spreading bacteria. Their feces can trigger asthma and other respiratory conditions. If you see signs of their presence, getting cockroaches removed expeditiously is the best option. How can you get rid of a cockroach infestation — and how do you avoid them moving in? Here is what you need to know about preventing cockroach infestations, and how to get rid of them once they have settled in. Cockroaches look for four major things for in a habitat: food, shelter, warmth, and moisture. Most homes offer all these things to some degree; however, homes that provide these things in abundance are at an increased risk. 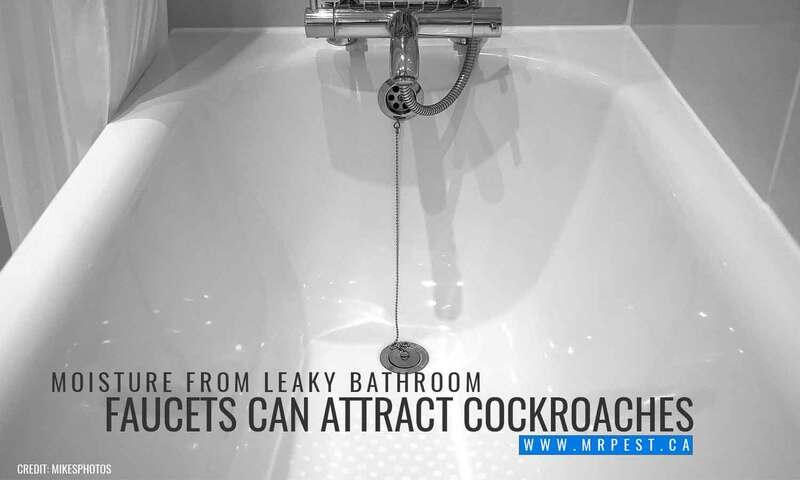 Homes with clutter, unsealed food sources, leaky pipes or partially-clogged drains, or cracks in the walls and floors make inviting conditions for cockroaches (and other pests). Cockroaches will eat any food, from crumbs on the floor to pizza left on the counter. Dirty dishes left in the sink overnight is like an open buffet for cockroaches. Crumbs that fall between your counter and stove top or linger in your burner trays are other food sources. Pests like cockroaches aren’t picky when it comes to food. In fact, their definition of food is somewhat loose and may include soap residue, toilet paper, and even hair in the shower drain. They need shelter from the elements, especially in Southwestern Ontario. Unlike other pests, cockroaches are a year-round problem — they don’t die off or hibernate in winter. Your warm and toasty home keeps them safe from the chill. They also gravitate to areas with lots of moisture. That could be around the leaky pipes under your sink or the wet towels left on the floor after showering. Cockroaches can enter your home in a variety of ways. Cracks in the exterior of your house can provide easy access. They might crawl through pipes, vents, or holes. Sometimes cockroaches catch a ride on your purse, bag, or grocery bags into the house. If you work in a restaurant, be wary of where you keep your belongings during your shift. Workplaces that deal with food and provide warm, humid shelter are vulnerable to cockroach infestations. Employees can accidentally bring the pests home with them, thus spreading the infestation. Cockroaches are nocturnal insects; they’re active only at night. You will rarely catch them in the act of scurrying around your kitchen. If you sneak into the kitchen at night and turn on the light, you may see them quickly crawl under objects to hide. Even if you don’t see them with your own eyes, noticing the signs of a cockroach infestation is proof enough. If you observe these signs of their presence, contact a professional pest control company to inspect your home and devise a plan for resolving the issue. Feces – Cockroach feces look like black pepper or coffee grounds. Some larger species will leave cylinder-shaped feces pellets. You’ll notice them around the edges of the room, in corners and along baseboards. They show up anywhere the cockroaches are. Check your cupboards, under the sink, around plumbing, and under kitchen appliances. If you have junk piling up in the corner of the room, remove it and inspect the floor for feces. Bits of exoskeleton – One telling trait that cockroaches have is the ability to shed their skin. They’ll cast their entire shell up to 8 times from birth to adulthood. If you notice strange exoskeleton pieces in your home, this is a sign that you have a young and growing infestation. A musty smell – Cockroaches have a distinctive odour. You may notice a musty fragrance in your home, somewhat like a wet unfinished basement. The smell is sometimes described as oily, and it lingers on objects they touch. You might smell them on your kitchen tea towels, toilet paper roll, dirty laundry hamper, or any other fabric object that they might contact. There are many pest control services in Barrie. It’s essential that you choose a reliable company that will work with you to eliminate the infestation. They should have experience treating cockroach infestations, as they are unlike other common pests and require specific measures to eradicate. Read the company’s online reviews, and ask for referrals from friends or family. The pest control company you choose should be able to guide you through effective prevention techniques after treatment, as part of getting your home pest-free again is prevention. Before the pest control treatment happens, there are a few things you should do. The entire house needs to be clean for the technicians to do the job effectively. Remove all clutter from the home. Vacuum carpets, sweep and mop floors, and wipe down the walls. Take down any posters or art from the walls and clear off any shelves. You won’t be able to clean your house for 30 days after the treatment; do a deep cleaning beforehand. If you have pets, remove their bowls and food from the house before treatment. Reduce any chance of them ingesting the treatment chemicals. You should also cover fish tanks with a towel and disconnect the circulation system. If treatment chemicals get in the tank, they could harm your fish. Open all your windows before the technicians arrive. You will have to leave the house with your children and pets for at least four hours, with more severe infestations or larger homes taking potentially longer. If you’re pregnant or have respiratory conditions, it’s best to leave for at least 24 hours. Once the treatment is complete and you’re back home, be aware of the bait technicians sprayed throughout your house. These are chemicals that attract and kill the cockroaches. You don’t want to remove the bait by washing your floors or allow pets to ingest the treatment. You can easily prevent a cockroach infestation in several ways. 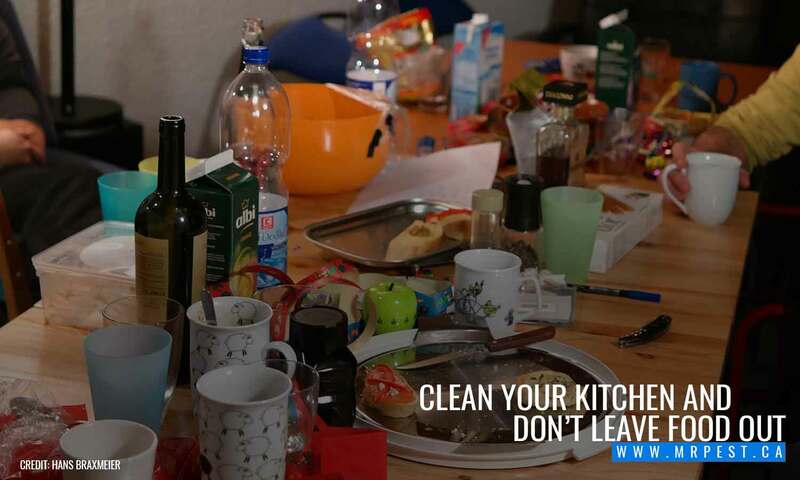 Start by keeping a clean and tidy home. Not only should clutter be removed, but surfaces should be shampooed or sanitized. Good habits should get instilled in your children. Teach them not to leave wet towels on the ground, to clean dishes right away, and to seal up food sources properly. Reduce the moisture in your home by fixing leaky pipes and faucets. Inspect under counters for leaks. Seal any cracks, holes, or crevices in your walls and floors — especially around plumbing and in the kitchen. Don’t try to fix an infestation on your own. DIY methods can be time-consuming and are often ineffective. Get it right the first time by calling a reliable pest control service in Barrie. 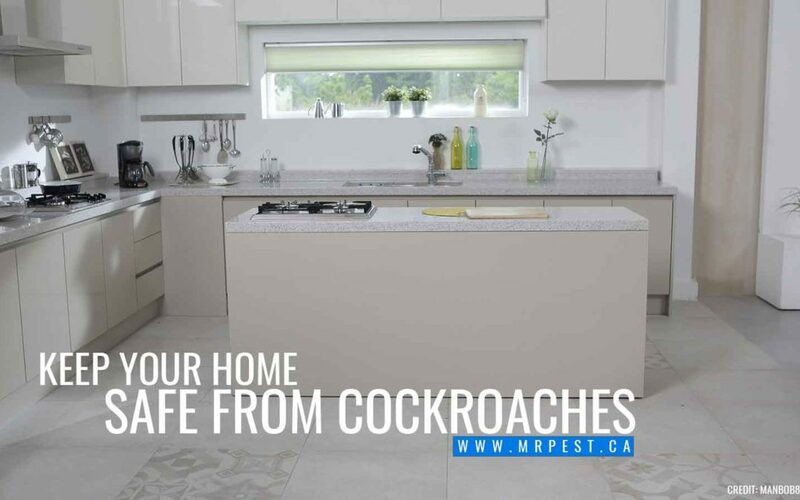 Mr. Pest Control has been proving pest control to Barrie, Orillia, and Simcoe County for over 27 years. 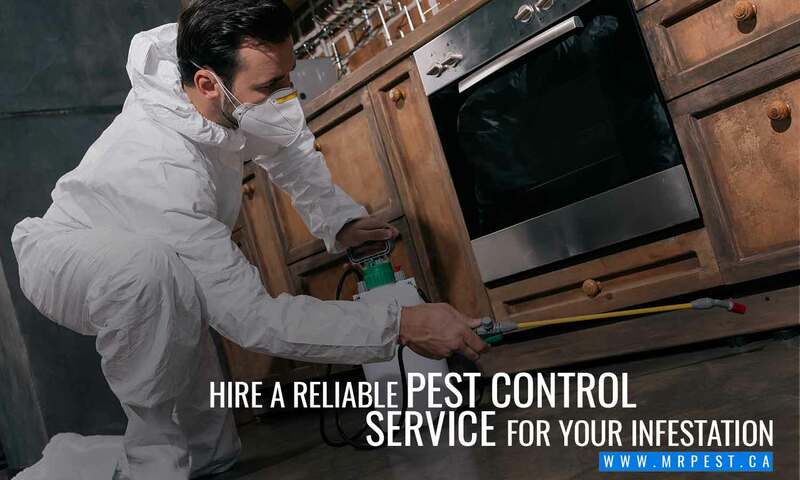 We have the experience and expertise to remove cockroach infestations from your house, apartment, or commercial building. We are a family-owned business who understands your need for quick and effective pest treatment. To get your infestation taken care of, send us a message or call us today: (705) 739-7378 for Barrie and (705) 739-3377 for Orillia.